At any one time, we exhibit 50 kaleidoscopes from our growing collection of about 250. 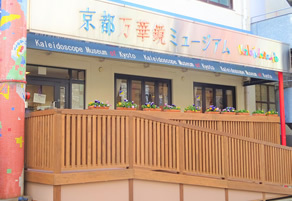 We hope you enjoy our valuable kaleidoscopes made by famous foreign and Japanese craftsmen. You can experience the endless , incredible spectacular array of colours , patterns and designs in these wonderful instruments and you can even make your own! Mon. (open if Mon. is a national holiday and closed the next weekday ) , Winter holidays Dec.25 - Jan4. 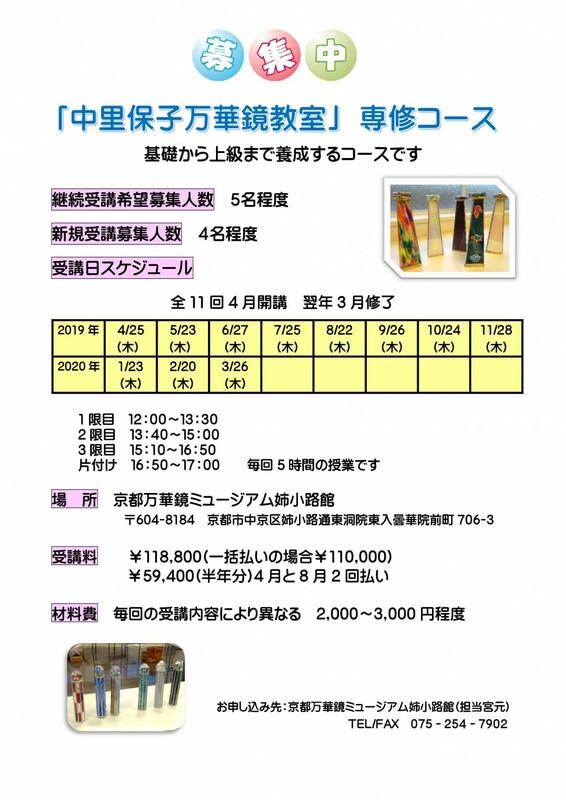 ※However, only a kaleidoscope exhibition room is a charge. In addition, institutions (an art gallery, a cafeteria space, etc.) can go in and out freely. 3min. walk from Exits 3-1 and 3-2 of the Karasuma oike subway station.On the southside Aneyakoji‐dori, east of Higashinotoin‐dori.